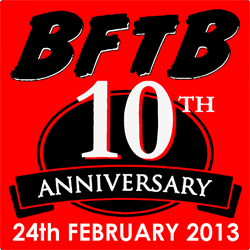 BFTB 10th Anniversary - The Return of Baron Ironblood game- BLOOD FOR THE BARON!!! Lord Skiff has created this awesome Action Force PC game! Download the .zip file, extract it and click on the .exe to play! Yay! I was playing the GI Joe NES and Arcade games yesterday, and now the AF one! Not sure why but I couldn't get this to play on my pc. It seems there are graphics for additional vehicles and characters. Are more levels being prepared? Lord Skiff has the BFTB forum username Count Monte, check the Red Shadows custom section for further developments. That is great fun. I'm impressed. I had to download it from Firefox to play it and it was fun.